The simple equivalent circuit is sufficient for most applications. The differences between calculated and measured characteristics of real solar cells are only a few per cent. However, only extended equivalent circuits describe the electrical solar cell behaviour exactly, especially when a wide range of operating conditions is to be investigated. Charge carriers in a realistic solar cell experience a voltage drop on their way through the semiconductor junction to the external contacts. A series resistance RS expresses this voltage drop. An additional parallel resistance Rp describes the leakage currents at the cell edges. Figure 4.15 shows the modified equivalent circuit including both resistances. The series resistance RS of real cells is in the range of several milliohms (mQ), the parallel resistance Rp is usually higher than 10 Q. Figures 4.16 and 4.17 illustrate the influence of both resistances in terms of the I-V characteristics. This implicit equation cannot be solved as easily as Equation (4.34) for the current I or voltage V. Numerical methods are therefore needed. Starting with an initial value V0 or I0, the solution of the implicit equation with a given current I or voltage Vg, respectively, will be found if the iteration is performed until the difference between two iteration steps is smaller than a predefined limit £. The stopping conditions for the iteration are: lVi - Vi-1l < £ or II- Ii_jl < £. The Newton method tends to convergence very quickly; however, the speed of convergence depends strongly on the chosen initial value V0 or I0. A pre-iteration using another method could be useful near the range of the diode breakdown voltage. The first diode is usually an ideal diode (m1 = 1). The diode factor of the second diode is m2 = 2. Table 4.3 summarizes parameters that have demonstrated good simulation results for some modules. 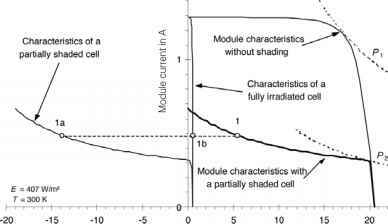 The equivalent circuit of the solar cell must be extended for the description of the negative breakdown characteristics at high negative voltages to be able to model the complete I-V characteristics. The additional current source I(VD) in Figure 4.19 expresses the extension term, which describes the diode breakdown in the negative voltage range. Figure 4.20 shows the I-V characteristics of a polycrystalline solar cell over the full voltage range obtained with the parameters IS1 = 3 • 10-10 A, m1 = 1, IS2 = 6 • 10-6 A, m2 =2, RS = 0.13 Q, RP = 30 Q, VBr = -18 V, b = 2.33 mS and n = 1.9. In this instance, the series resistance is relatively high due to the inclusion of the connections. 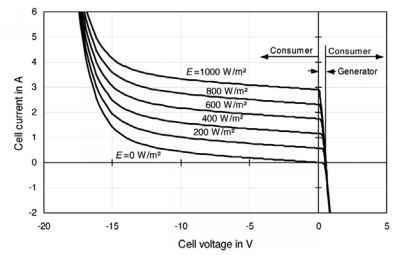 In the given figure, cell voltage and current are positive in the quadrant where the solar cell is generating power. If the cell voltage or current becomes negative, the solar cell is operated as load. Therefore, an external voltage source or other solar cells must generate the electrical power required. 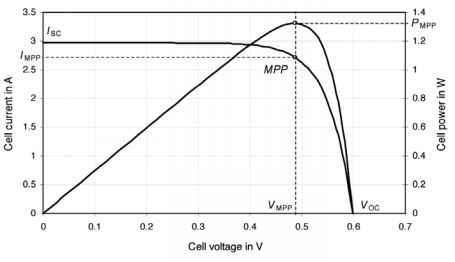 Besides the described correlations of solar cell current and voltage, further characteristic parameters can be defined. This section describes the most common parameters. For silicon solar cells, the temperature coefficient of the short circuit current is normally between aISC = +10-3/°C and aISC = +10-4/°C. The temperature coefficient aVOC of the open circuit voltage is obtained similarly to the short circuit current. It commonly has a negative sign. For silicon solar cells, the temperature coefficient is between aVOC = -340-3/°C and aVOC = -5 • 10-3/°C. In other words, the open circuit voltage decreases faster with rising temperature than the short circuit current increases (see section on temperature dependence, p139). The solar cell generates maximum power at a certain voltage. Figure 4.21 shows the current-voltage as well as the power-voltage characteristic. It shows clearly that the power curve has a point of maximal power. This point is called the maximum power point (MPP). Since the temperature coefficient of the voltage is higher than that of the current, the temperature coefficient «PMPP of the MPP power is negative. For silicon solar cells it is between «PMPP = -340"3/°C and «PMPP = -640-3/°C. A temperature rise of 25°C causes a power drop of about 10 per cent. In order to make possible comparisons between solar cells and modules , MPP power is measured under standard test conditions (STC) (E = 1000 W/m2, & = 25°C, AM 1.5). The generated power of the solar modules under real weather conditions is usually lower. Hence STC power has the unit Wp (Watt-peak). Considering the irradiance dependence, the current dominates the device behaviour, so that the MPP power is nearly proportional to the irradiance E.
The fill factor is a quality criterion of solar cells that describes how well the I-V curve fits into the rectangle of VOC and ISC. The value is always smaller than 1 and is usually between 0.75 and 0.85. The efficiency is usually determined under standard test conditions. Table 4.4 summarizes the various solar cell parameters. A constant temperature of 25°C was assumed for all equations of the previous section. It was mentioned that the characteristics change with the temperature. 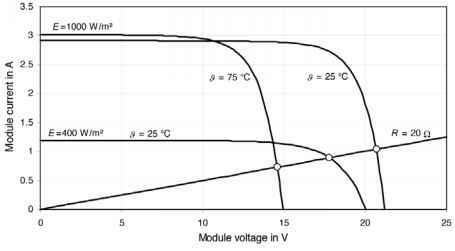 This section describes how to modify the solar cell equations to include the temperature dependence. The increase of the saturation currents with rising temperature explains the decrease in the open circuit voltage. The temperature dependence of the series resistance RS, the parallel resistance Rp and the diode factor can be ignored for further considerations. Table 4.5 shows the parameters for the calculation of the temperature dependences of various solar modules. Figure 4.22 shows the I-V characteristic with rising temperature It shows clearly that the open circuit voltage decreases significantly when the temperature rises. On the other hand, the short circuit current only increases slightly. 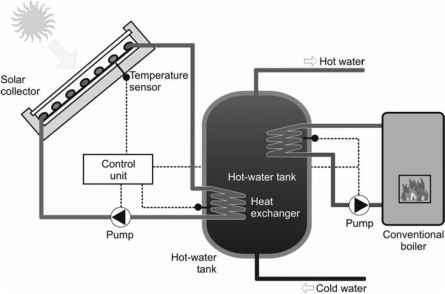 The result is the reduction of the MPP power at decreasing temperatures. With this, all parameters of the simple equivalent circuit are estimated. However, this model can only provide a very rough correspondence with measured characteristics. A diode factor higher than 1 (m > 1) is used for a non-ideal diode. The two independent parameters m and IS could be found relatively easy using mathematical software such as Mathematica for a given solar cell characteristic in the generating region. The simple equivalent circuit with a real diode already provides a very good correspondence between simulations and measurements. The determination of the additional parameters RS and Rp of the extended one-diode solar cell model is more difficult. With higher numbers of independent parameters, even professional mathematical programs reach their limits and the best fit has to be determined iteratively. The initial values must be chosen carefully for a good iteration convergence of the parameter estimation. However, the estimation of initial values for Rp and RS is relatively simple. The parameters VBr, b and n for the negative diode breakdown operation can be found analogously to the other parameters, when measured values at the point of negative diode breakdown are used for parameter estimation. Solar cells are normally not operated individually due to their low voltage. In photovoltaic modules, cells are mostly connected in series. A connection of these modules in series, parallel or series-parallel combinations builds up the photovoltaic system. Many modules are designed for operation with 12-V lead-acid rechargeable batteries where a series connection of 32-40 silicon cells is optimal. Modules for grid connection can have many more cells connected in series in order to obtain higher voltages. The characteristics of a single cell provide easily the I-V characteristic for any series connection as shown in Figure 4.24. During realistic operation, not all solar cells of a series connection experience the same conditions. Soiling by leaves or bird excrement, or climatic influences such as snow covering or visual obstructions by surroundings can shadow some cells. This has a high influence on the module characteristics. Shaded Cell ranges of this characteristic only occur if the current in the partially shaded cell is higher than the cell short circuit current. 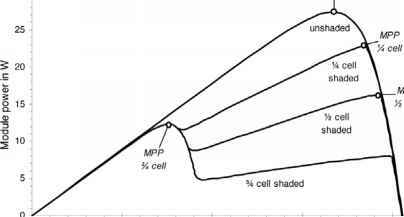 This is only possible in the negative voltage range of the shaded cell, and this cell then operates as a load that can be described by the equivalent circuit shown in Figure 4.19. Figure 4.25 shows the determination of one point of the module characteristic (1). 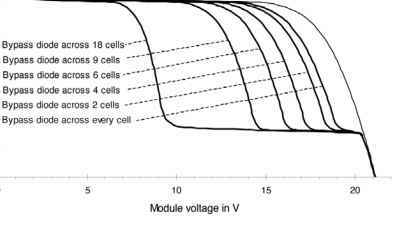 The module voltage for a given current is the sum of the voltage of the partially shaded cell (1a) and 35 times the voltage of the irradiated cells (1b). The total module characteristic of the shaded case is calculated this way point by point for different currents. It is obvious that cell shading reduces the module performance drastically. The maximum module power decreases from P1 = 20.3 W to P2 = 6.3 W, i.e. by about 70 per cent, although only 2 per cent of the module surface is shaded. The partially shaded solar cell operates as a load in this example. The dissipated power of the shaded cell is 12.7 W and is obtained when the module is short circuited. Other shading situations at higher irradiances can increase the power dissipated in the shaded cell up to 30 W. This will heat the cell significantly and may even destroy it. So-called hot spots, i.e. hot areas about a millimetre in size, can occur where the cell material melts or the cell encapsulation is damaged. To protect single cells from hot spot related thermal damage, so-called bypass diodes are integrated into the solar modules in parallel to the solar cells. These diodes are not active during regular operation, but when shading occurs, a current flows through the diodes. Hence, the integration of bypass diodes eliminates the possibility of high negative voltages, and in the process eliminates the increase in cell temperature of shaded solar cells. Bypass diodes are usually connected across strings of 18-24 cells. The reason for this is mainly economic. Two bypass diodes are sufficient for a solar module with a rated power of about 50 W containing 36-40 cells. The diodes can be integrated into the module frame or module junction box. However, these diodes cannot fully protect every cell; only the use of one bypass diode for every cell can provide optimal protection. Semiconductor technology can integrate bypass diodes directly into the cells (Hasyim et al, 1986). Shading-tolerant modules with cell-integrated bypass diodes, which were first manufactured by Sharp, show significantly lower losses when they are inhomogenously irradiated. Figure 4.26 illustrates bypass diode integration across cells and strings of cells. The bypass diode switches as soon as a small negative voltage of about -0.7 V is applied, depending on the type of diode. This negative voltage occurs if the voltage of the shaded cell is equal to the sum of the voltages of the irradiated cells plus that of the bypass diode. Figure 4.27 shows the shape of I-V characteristics with bypass diodes across a varying number of cells. In this example, one cell is 75 per cent shaded. It is obvious, that the significant drop in the I-V characteristics moves towards higher voltages with decreasing number of cells per bypass diode. This occurs because the bypass diode switches earlier. It also reduces the power loss and the strain on singles cells. Figure 4.28 shows the power-voltage characteristics of a module with two bypass diodes across 18 cells for different shading situations. Depending on the degree of shading, the MPP shifts and high losses occur although bypass diodes are integrated. A parallel connection of solar cells is also possible. Parallel connections are less often used than series connections because the associated current increase results in higher transmission losses. Therefore, this section gives only a rough overview on parallel connection. A parallel connection of cells is significantly less susceptible to partial shading, and problems associated with cell damage are much less likely. Large solar generators often use modules with parallel cell strings of multiple series-connected solar cells. However, parallel bypass diodes must also secure cell protection for these modules. So-called serial-connected blocking diodes will protect cell strings; however, because of their high permanent diode losses and low protective action, they are used in only very few cases. Table 4.6 summarizes technical data for selected solar modules. To point out differences in module technology, some modules are included that are no longer available. This table contains three modules with monocrystalline cells, one with polycrystalline, one with amorphous and one with copper indium diselenide (CIS) solar cells. All modules have only series-connected cells. MPP power and efficiency are given for standard testing conditions (see section on 'Further electrical solar cell parameters', p136). The module efficiency is always lower than the theoretical cell efficiency since the module contains inactive areas between the cells. The module efficiency of the BP module is 13.5 per cent, whereas the efficiency of a single cell is 16 per cent. Almost all modules only have two bypass diodes; only a few modules contain a higher number of bypass diodes. 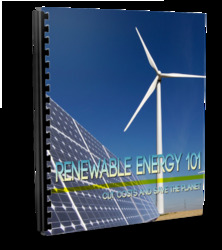 The previous sections described characteristics of solar cells, modules and generators only. In reality, photovoltaic modules should provide electricity that is used by the consumer with an electric load. If the current I through the resistance is set equal to the current of the solar cell [see Equation (4.34)], the common voltage and the operation point can be found by solving the equation for the voltage V. However, numerical methods are needed to obtain the solution. For a graphical estimation of the operating point, I-V characteristics of the resistance and solar cell characteristics are drawn into the same diagram. The intersection of both characteristics then provides the operating point. Figure 4.31 illustrates that the operating point of a solar module varies strongly with the operating conditions. Here, the module is operated close to the MPP at an irradiance of 400 W/m2 and a temperature of 25°C. At other irradiances and temperatures, the module is operated sub-optimally and the output power is much less than the possible maximum power. Voltage and power at the resistive load vary significantly. The power output of the solar module can be increased if a DC (direct current)-DC converter is connected between solar generator and load as shown in Figure 4.32. The converter generates a voltage at the load that is different from that of the solar generator. Taking up the previous resistance example, Figure 4.33 shows that the power output of the module increases at higher irradiances if the solar generator is operated at a constant voltage. The power output can be increased even more if the solar generator voltage varies with temperature, i.e. if the voltage increases with falling temperatures. Since the voltages are different, the currents I1 and I2 are also different. If the load voltage is always lower than the solar generator voltage, a so-called buck converter, as shown in Figure 4.34, can be used. In practice, the output voltage should be relatively constant. Therefore, the capacitors C1 and C2 shown in Figure 4.36 are inserted. Capacitor C1 buffers the solar generator energy when the switch is open. using the ripple of the output voltage V2, i.e. the maximum desired voltage fluctuation AV2. Semiconductor components such as power field-effect bipolar transistors, or thyristors, for higher powers are mainly used for the switch S. Some integrated circuits (IC) exist that can directly control the duty period. For small power applications, the transistors are already integrated into some ICs. Boost converters are suitable for applications with higher output voltages than input voltages. The principle boost converter structure is similar to that of the buck converter, except that the diode, switch and inductance change positions. Figure 4.37 shows the boost converter circuit. If the switch S is closed, a magnetic field is created in the inductance L with the voltage vL = V1 (vL > 0). When the switch opens, the voltage v2 = V1 - vL (vL < 0) is applied to the load. This voltage is higher than the input voltage V1. In this case, the voltage drop at the diode has been neglected. When the switch closes, the capacitor C2 retains the load voltage. The diode D avoids the discharging of the capacitor through the switch S.